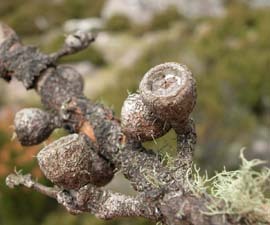 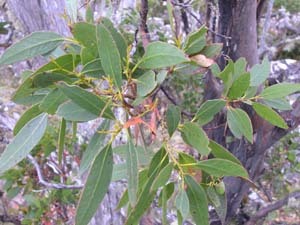 Eucalyptus archeri is an uncommon tall tree found at higher altitudes on the northern slopes of the Central Plateau and forms the tree line at Ben Lomond. 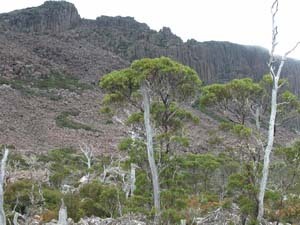 It is one of the gum group of species, with 3 flowers per umbel and smelling of eucalyptus oil when crushed. 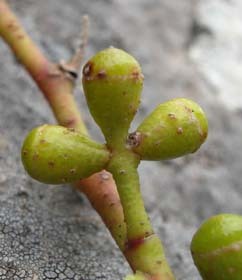 It grades into E. gunnii.